Day Three of the Daily Dozen: Small Business Saturday, November 26, 2011, Textiles and Doughnuts, Oh My! I’m St. Paul’s biggest champion even if I’m not a native. I promise to list some businesses on the other side of the river tonight! 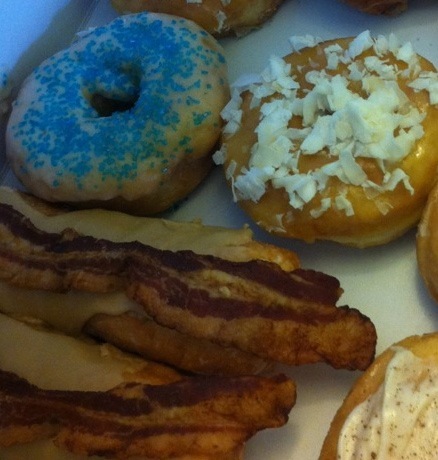 Here’s Day Three of my Daily Dozen Small Businesses in St. Paul and Minneapolis. When I was a student in France about a million years ago, I spent a lot of time browsing in the stationery stores. I was delighted to discover, years later, my own little papeterie in St. Paul: Paper Patisserie. Stunning gift wrap, ribbons, fountain pens, and letterpress cards fill this little shop. One of my favorites purchases is a reproduction German cigarette case that I use as a wallet. Diary of a Wimpy Kid: Cabin Fever was released today. We special ordered it from the Red Balloon Bookstore last week. Today after school we raced down there (safely) to pick it up. We left with 4 other books–two of them for adults. 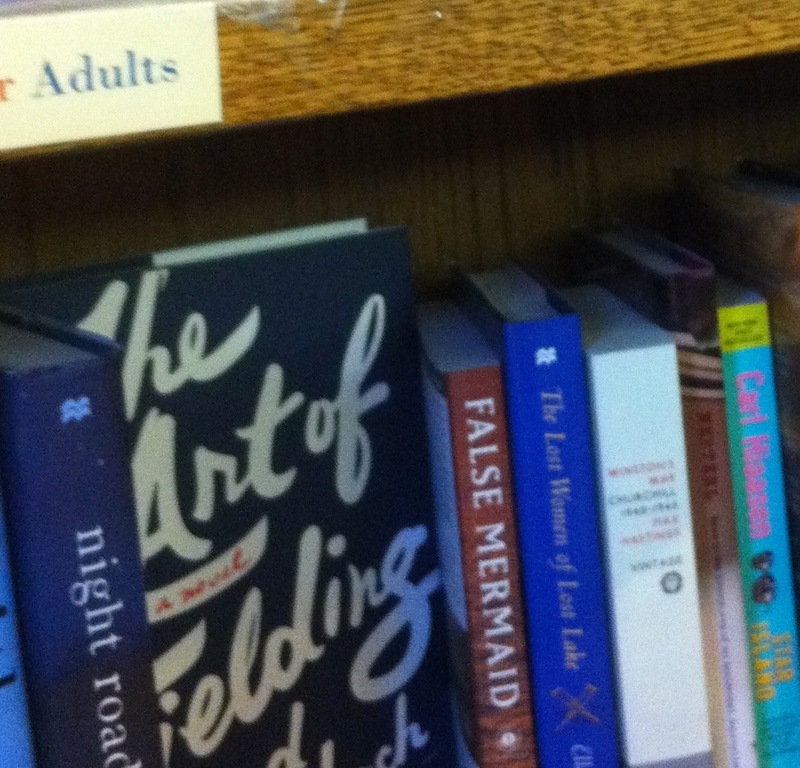 I’d forgotten how robust their adult book selection was. While my reader sat in a comfy chair and dove into his new book, I found a birthday gift for my dad and of course one for me, too. Then I special ordered the French version of Madeline. After this fun hour of book shopping, we continued our French experience next door for pommes frites at Salut Bar Américain. 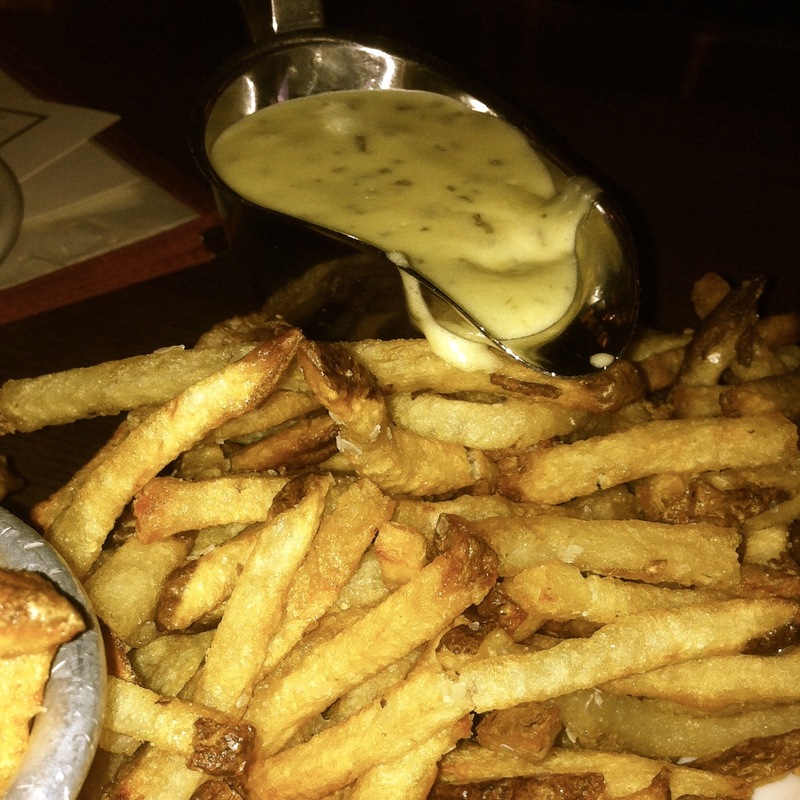 They have an awesome menu: pommes frites with Bernaise, Escargot Bourguignon (snails in herb butter), and Moules (mussels steamed in white wine with herb butter) — none of which should be eaten in one sitting. My son and I split the frites and colored the cows on the kid menu while learning the French for those special cuts of meat so popular in France: tripe (stomach lining), cervelle de veau (calf brains), and the ever-so-yummy ris de veau (thymus gland). Oddly I couldn’t find any on the menu. Now, I have to ask, “What is a small business?” Does Salut Bar Américain count? Or is it too big? It’s part of the local restaurant group, Parasole, which compared to McDonald’s is, indeed, small. Compared to one of my new favorites, Palumbo’s Pizzeria on Snelling, they are pretty big. Speaking of Palumbo’s, if you haven’t visited them, yet, do. Imagine a calmer Punch Pizza with many more choices. Yesterday I took my guest speaker, Reid Sellgren from Conuiti, there for lunch. Unlike Heavy Table’s summertime review, our salads came with just the right amount of feta cheese, olives, and tomatoes. The roasted squash soup was divine, as well. Lucky for me, my kids like it just as much as I do. They order pizza and we get something savory and Italian that’s too over the top for them. Right around the corner from Palumbo’s on Randolph is Practical Goods. It’s like Goodwill with a sense of design. You can’t miss the rainbow display of rubber rain boots perched on the window sill that advertise the store better than the sign. If you like vintage or simply used, practical goods, stop by. You’ll be sure to find at least one treasure. Whenever I drive by Treadle Yard Goods on the corner of Grand and Hamline, I want to stop and buy some of the vibrant oilcloth propped up in their west-facing window. Unlike their gorgeous silks, the sun can’t damage this. If fabric and stunning buttons are your thing, this shop is worth crossing multiple rivers for. If you just want to sew, consider one of their beginner classes. The instructors are kind and passionate. If you’re lucky, you might even nab some of their Missoni knits. A great source of finished textiles, is the Textile Center, of course. Located technically in Minneapolis, but just down the street from St. Paul on University Avenue, you will be amazed at what local and national artists are creating. In another lifetime, I used to design kids clothing and sell them in their artists shop. Click here to see some of the incredible things you can buy at their Holiday Sale. Mother Earth Gardens is a dangerous place for my wallet. They’ve been sustainable and organic in the Longfellow neighborhood of Minneapolis before the rest of us knew what that meant. Every spring I buy a bag of corn gluten to thwart any dandelions and pick up happy plants for my garden. For your home, you can buy compostable, locally sourced wreaths, swags, and kissing balls. Mmmm, can’t you imagine how delicious those smell? Not so far away on Minnehaha Avenue, buzz into the new Peace Coffee Shop. I have to try one of their Smokey Salted Caramel Cortados soon. Did you know there were owned by the local non-profit Institute for Agriculture and Trade Policy? Me neither, I just like their coffee. Do you love flowers? Or pretty, potted Peace Lilies? Do you know about Soderberg’s on Lake Street? They’ve been beautifying the city since 1925. Delivery of their gorgeous arrangements is free anywhere in Minneapolis! I have to admit their website is all 1-800-flowers, so if you’re not in a hurry, stop in and shop. Grand Paws Grooming is not on Grand or in Minneapolis, it’s in the Midway neighborhood of St. Paul on Hamline. My dog goes in looking like a fluff bomb of fur and appears regal in a few hours. They keep super hours — when actual pet owners have the time to bring their dog in, such as late on Saturday nights, too. I’ll end with Doughnuts. Here’s a list of all the great doughnut shops in town courtesy of the Heavy Table’s masterly doughnut flowchart: Mojo Monkey Donuts, Mel-o-Glaze, Donut Cooperative, Sarah Jane’s Bakery, A Baker’s Wife, Granny Donut, Wuollet’s, Patisserie 46, YoYo Donuts, Patrick’s, Chef Shack, and Bogart Love’s. — Although the latter two may be closed for the season. Don’t forget P.J. Murphy’s on Randolph in St. Paul. While “only 18 years” as P.J. Murphy’s, it’s been a bakery since 1921. Old family recipes and no preservatives. You can also find them at the Thursday Minneapolis Farmers’ Market on Nicollet Mall in front of Gavidae Common. Doughnuts! But I have to especially second Red Balloon – anyone with kids simply HAS to spend a lot of time there!